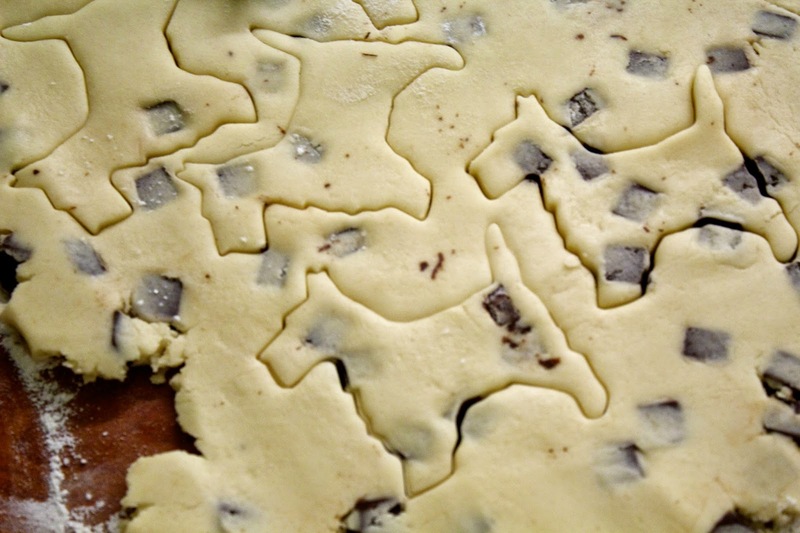 Some days I feel like baking Scottish shortbread shaped like scotty dogs is just necessary. Yesterday was one of those days. 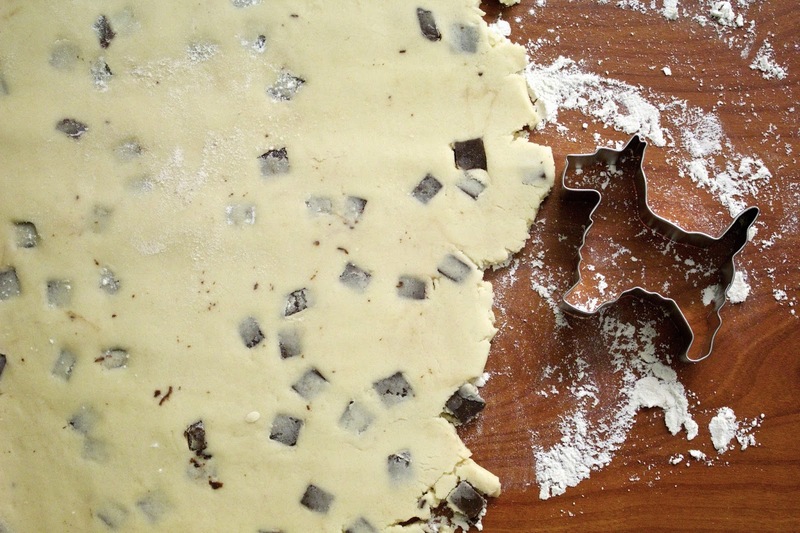 Shortbread is the perfect cookie to make when you're running low on ingredients. 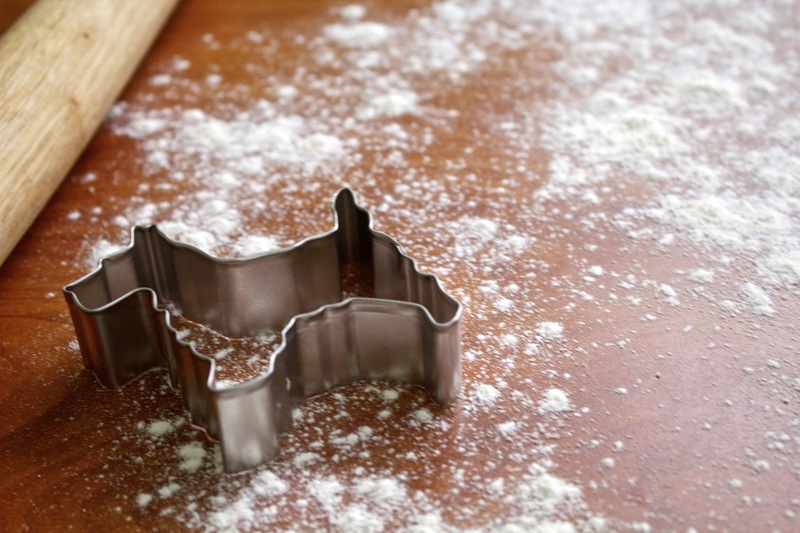 As long as you have butter, flour, sugar and cornstarch, you're golden. Fun fact: shortbread is crumbly because there's no egg to act as a binding agent! (Trust me, that's fun). The recipe I use comes from this beautiful cookbook called Bake, which was a Christmas present from my sister a few years ago and features global recipes broken down by country. 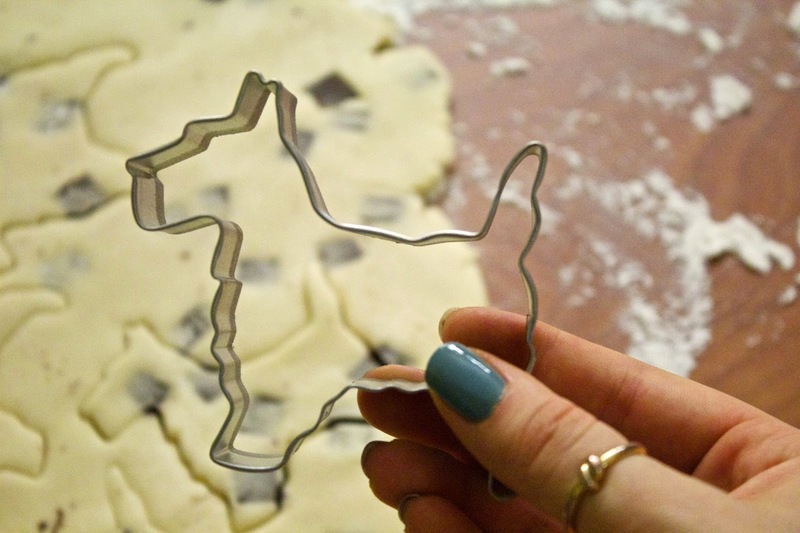 I bought this cookie cutter on Treat Yo Self 2015 and I've been dying to try it. 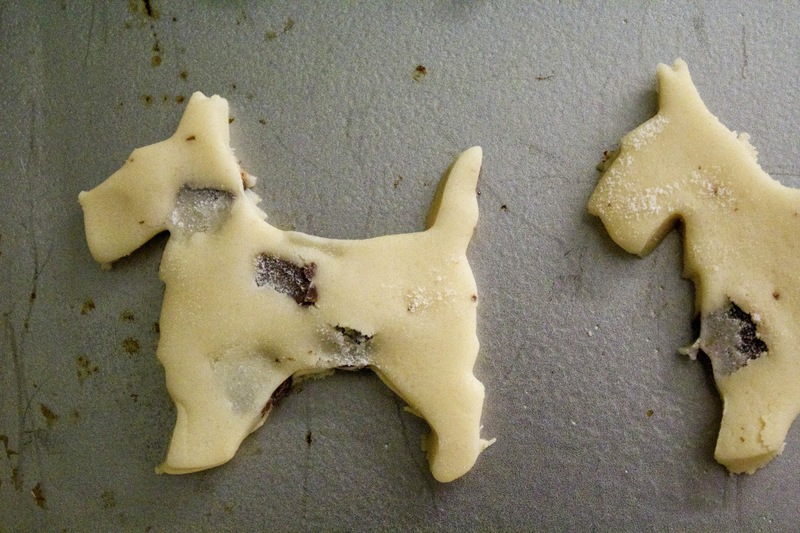 Scotty dog shortbread cookies seemed like the perfect inaugural use. I'm actually loving the fact that my nail polish is by Butter, because it's consistent with the whole "UK theme." (It's the little things). 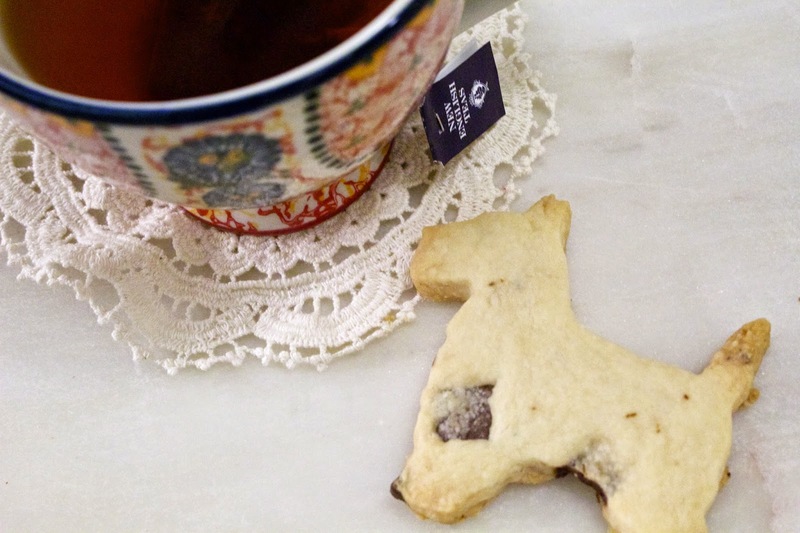 Shortbread without Tea is a travesty. This happens to be Earl Grey with honey. Also I love this teacup and am currently coveting others from Anthropologie, like this one and this one. It's a dream of mine to have a huge collection of mismatched tea cups, so I'm always on the look out when I go to shops and flea markets. My favorite one so far is from an antique store in Brighton, England. It's so beautiful and I just love the memory of finding it with my friend. Fun Anecdote: When taking the pictures for this gif, I was focusing so intensely that I forgot about 6 cookies in the oven and they burned. Clearly it was worth it. That's pretty much all I have for you today. I hope you enjoyed this small glimpse into what I do with my life when I should be accomplishing real things. But, like I said, sometimes things like this are necessary and there's absolutely nothing wrong with that. So do what makes you happy and neglect all other responsibilities! That's actually terrible advice, so just listen to the "do what makes you happy" part. You and your damn gifs get me every. fricken. time. However, this post was as perfect as you are and I request these the next time we reunite!